When discussing Lifetime Mortgages, on almost every meeting with clients, the first question they ask is, what is the interest rate? There is no doubt the interest rate charged is very important as this provides an indication of how the long-term loan will build up. But it is only one of the aspects we need to consider when providing clients with ‘best advice’ and its only once we have explained in more detail how these products work and carry out an in-depth fact find that we can identify the client’s actual needs. The outcome of the fact find may be to provide the most competitive interest rate, (but not necessarily the cheapest!) while at the same time providing the client with a product which better meets their individual requirements. For example, for a client who knows they will be repaying off their loan within a specific timeframe due to perhaps a maturing investment, a pension pay-out or a sale of a second property, then maybe a lender who has a clearly defined early repayment charge, such as those provided by lenders such as LV=, Hodge or Retirement Advantage may be a better option than those with a potential charge offering a lower up-front interest rate but perhaps with a much larger charge for repaying the loan. The client may prefer to make a monthly payment, which reduces the effect of the rolled up interest applied to Lifetime Mortgages. 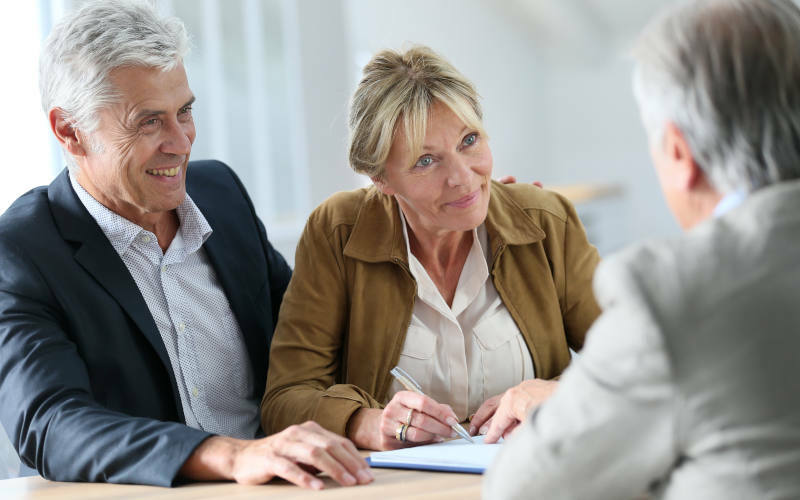 This is a facility offered by a number of lenders, or they may choose to specifically set aside a percentage of the property value as an inheritance guarantee for their beneficiaries. Clients may prefer to take advantage of a fee free valuation which allows them to make an application without incurring up-front costs, or they may prefer to take advantage of a cash-back, an incentive from lenders which can be used to off-set their setting up costs or they make prefer to take advantage of those lenders providing additional lending when considering their state of health. These benefits, which once explained are often of more benefit to clients rather than the rate of interest applied to their loans, but what is most important, the cheapest rate or a lender meeting the specific needs and requirements of the client? By providing professional advice, rather than being nothing more than an order-taker, I would suggest that meeting the client’s specific needs is more important than simply providing a client with ‘the best rate’. Do all Equity release providers work on a compound interest model..Why isn’t it like a mortgage product with a fixed rate.. The traditional set up of a lifetime mortgage is on an compound interest basis however the flexibility of these schemes is changing all the time and many provide the ‘option’ of making payments of interest (in varying ways) to avoid the compound interest and typically up to 10% of what you originally borrowed meaning you could even reduce the capital without penalty. There are also schemes within the market that are set up very much like a mortgage product also but of course these have an income and affordability calculation which the compound schemes do not. In terms of rate majority of these are fixed so you would know exactly what the effect of the compound interest would be from the outset. There are however many other factors to consider and so advise from an independent equity release specialist should always be sought.